Offering holiday accommodation in Courchevel on a Catered basis, Chalet 861 Inc Flights is a 3 bedroom ski-in ski-out chalet that can comfortably accommodate 8 people. The property also features a Sauna, Hot tub, Fireplace and Wifi. Residences Courchevel 976 is located in the French ski resort of Courchevel. This ski apartment has 3 bedrooms and can accommodate upto 7 people on a Self catering basis. Featuring a Sauna and Hot tub, Hotel 941 Inc Flights offers comfortable holiday rental accommodation in Courchevel on a Half board basis. Hotel 941 Inc Flights is a 1 bedroom ski hotel that can comfortably accommodate 2 people. Chalet 870 Inc Flights offers comfortable holiday rental accommodation in Courchevel on various board options including Bed & breakfast and Half board. Chalet 870 Inc Flights is a 1 bedroom ski hotel that can comfortably accommodate 2 people. Conveniently located near to both the piste and centre of the French ski resort of Courchevel. Chalet 395 has 7 bedrooms and can accommodate upto 14 people on a Catered basis. This ski chalet also features a Fireplace, TV and Wifi. Offering holiday accommodation in Courchevel on a Catered basis, Chalets Courchevel 975 is a 10 bedroom ski-in ski-out chalet that can comfortably accommodate 21 people. apartment 872 Inc Flights is a 1 bedroom ski-in ski-out apartment that can comfortably accommodate 6 people. 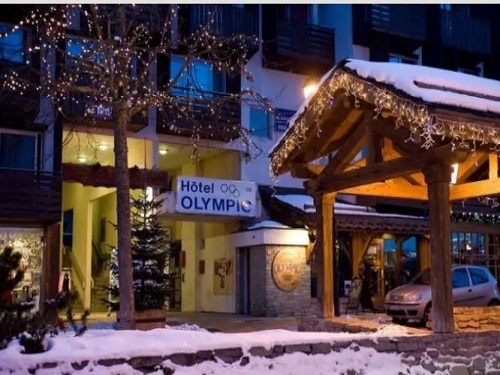 Conveniently located near to the pistes of the French ski resort of Courchevel it is available on a Self catering basis. Residence Ariondaz offers comfortable holiday rental accommodation in Courchevel on a Self catering basis. 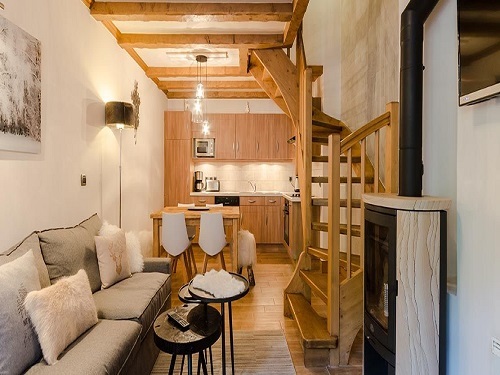 Residence Ariondaz is a 2 bedroom ski apartment that can comfortably accommodate 9 people. Featuring a Pool and TV, Residence Les Ecrins offers comfortable holiday rental accommodation in Courchevel on a Self catering basis. Residence Les Ecrins is a 1 bedroom ski apartment that can comfortably accommodate 4 people. This 1 bedroom ski apartment is located in the French resort of Courchevel. Available on a Self catering basis, Residence Le Moriond can sleep upto 4 people. 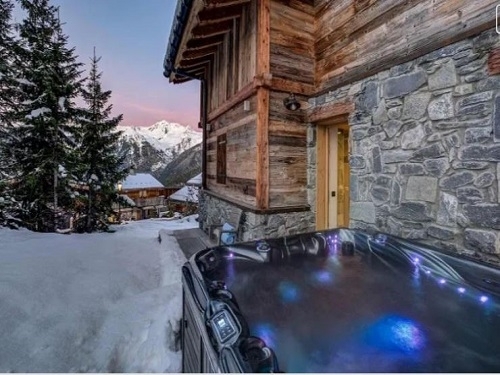 Featuring a Sauna and Hot tub, Chalets Jardins de Rosalie offers comfortable holiday rental accommodation in Courchevel on a Self catering basis. Chalets Jardins de Rosalie is a 4 bedroom ski apartment that can comfortably accommodate 14 people. Residence Le Christiana is located in the French ski resort of Courchevel. This ski apartment has 2 bedrooms and can accommodate upto 8 people on a Self catering basis. Located in the French ski resort of Courchevel. Chalet La Meleze has 2 bedrooms and can accommodate upto 7 people on a Self catering basis. Located in the French ski resort of Courchevel. Residence Les Brigues has 1 bedroom and can accommodate upto 6 people on a Self catering basis. Located in the French ski resort of Courchevel. Residence Les Grangettes has 1 bedroom and can accommodate upto 4 people on a Self catering basis. 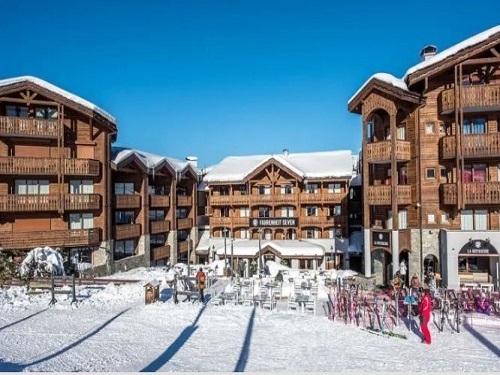 This 2 bedroom ski apartment is located in the French resort of Courchevel. Available on a Self catering basis, Les Chalets du Forum can sleep upto 10 people. Located in the French ski resort of Courchevel. Chalet Maison Du Praz has 4 bedrooms and can accommodate upto 8 people on a Self catering basis.